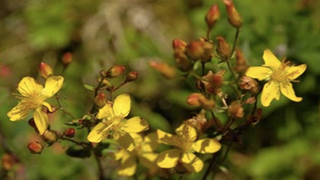 I'm in no hurry to abandon my proven Lexapro-and-Abilifi diet, but nevertheless am always interested to see if any of the purported "depression supplements" actually work, and have popped a lot of St. John's Wort in my time. So was I wasting my time? CNN put to the test 8 of the most popular natural supplements. Short answer: for the bulk of them, the results were "limited and inconclusive." In a few cases — St. John's Wort, Saffron — there were noticeable benefits. However, these applied only to mild cases of depression and in no way should be considered a substitute for a doctor's care. And while saffron proved mildly effective in some cases, it's hardly cost-effective. Unless, you know, you have some line to bulk spices. Bottom line: don't do anything without a professional's consultation. Because something is "natural" doesn't mean it isn't powerful (think about how many pharmaceuticals are derived from natural sources!) , and if a substance can effect your mental state, chances are it's relatively potent. As with all things homeopathic and otherwise, get second —and third — opinions and take anything you read "on the Internet" with the proverbial grain of sea salt. Indeed, the thing I found most alarming about this otherwise sober CNN report was that, between cautiously-worded reviews of tryptophan supplements and Omega-3s were ads for herbal antidepressants promising "90% success rate" and a "Natural Bipolar Treatment" offering a free 15-minute consultation. Well-being, sadly, is rarely that easy.